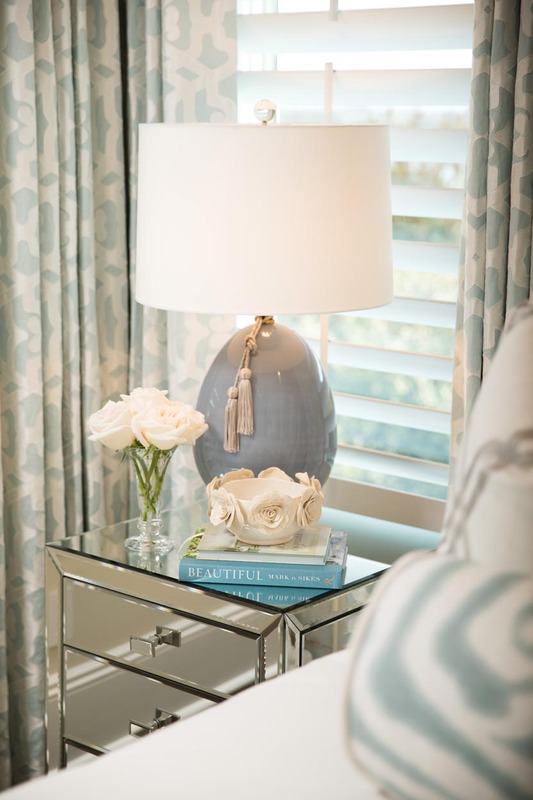 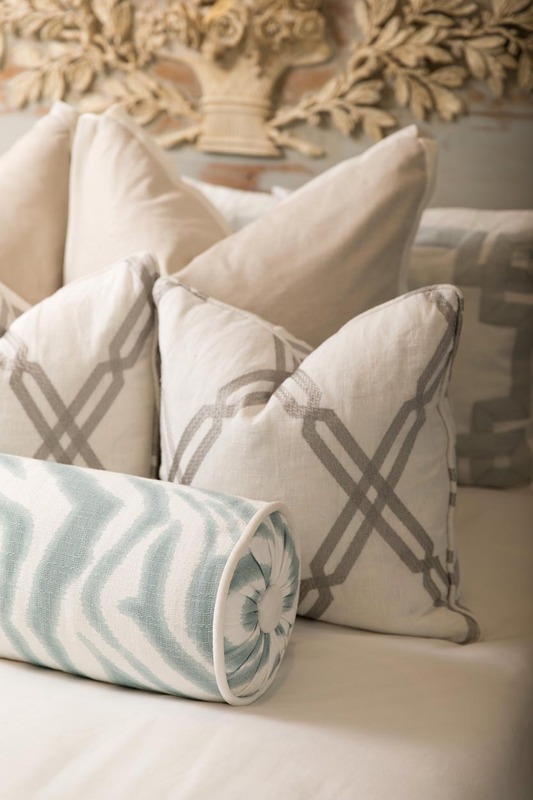 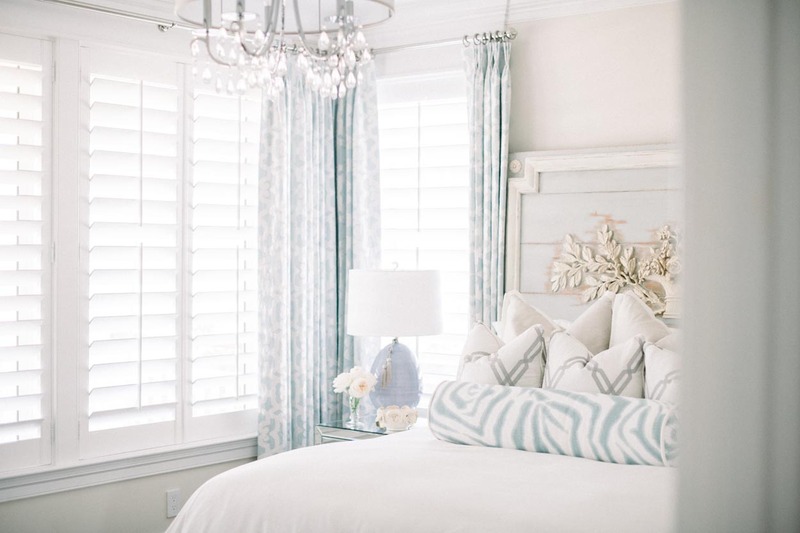 This space was designed for the client’s young adult daughter, who has a love of soft hues and finer things. 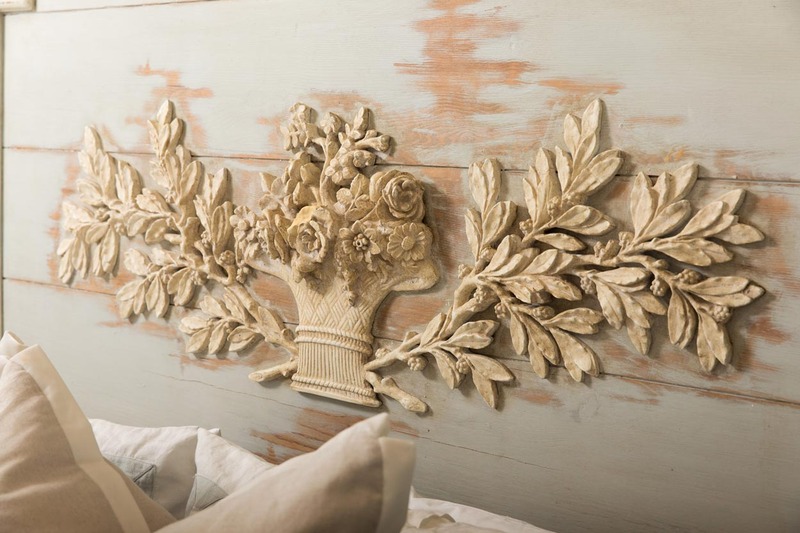 The beautiful headboard was the treasure that all other elements were built around. 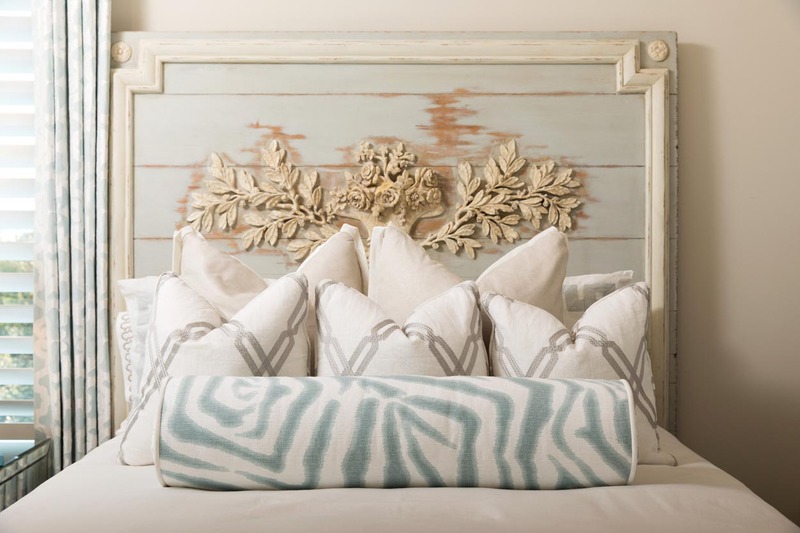 The soft wall color and scrollwork applique drapery fabric and custom pillow fabric were all chosen to accentuate the colors and textures in the headboard. 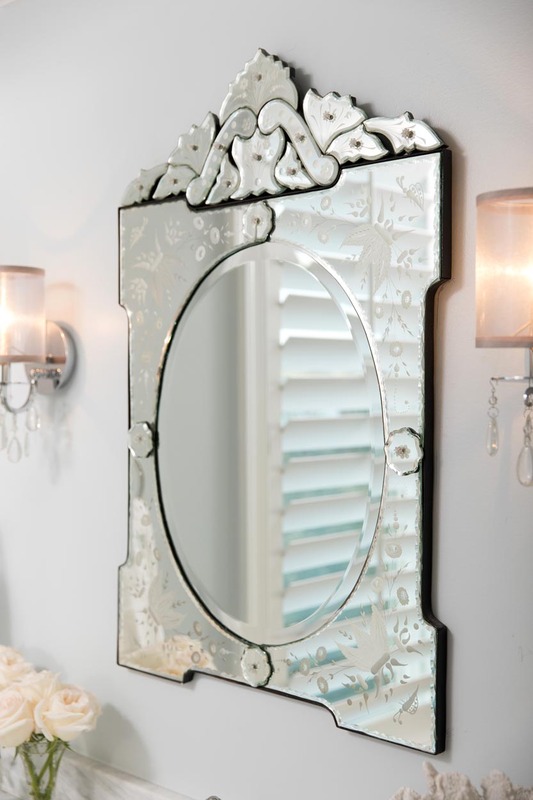 Mirrored dressers and a crystal chandelier completed the look. 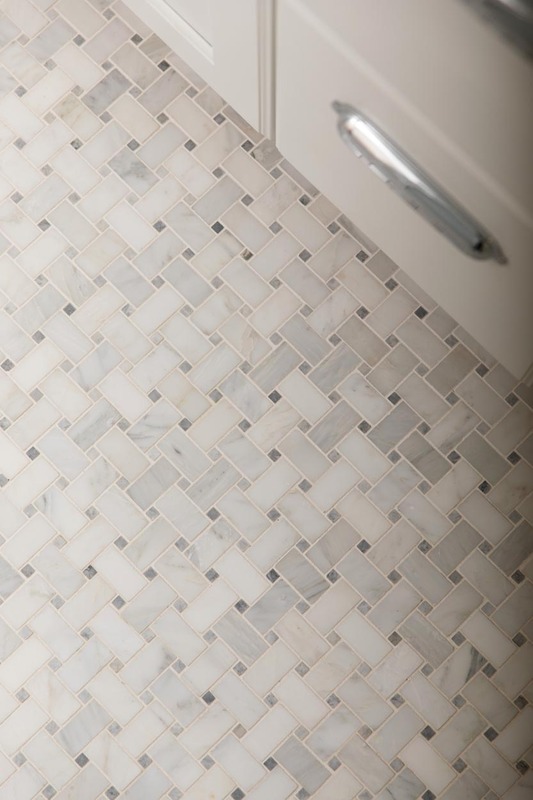 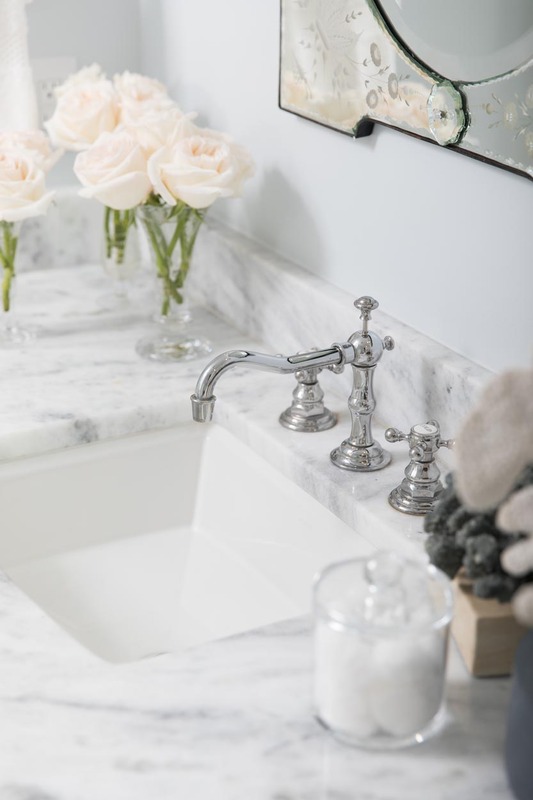 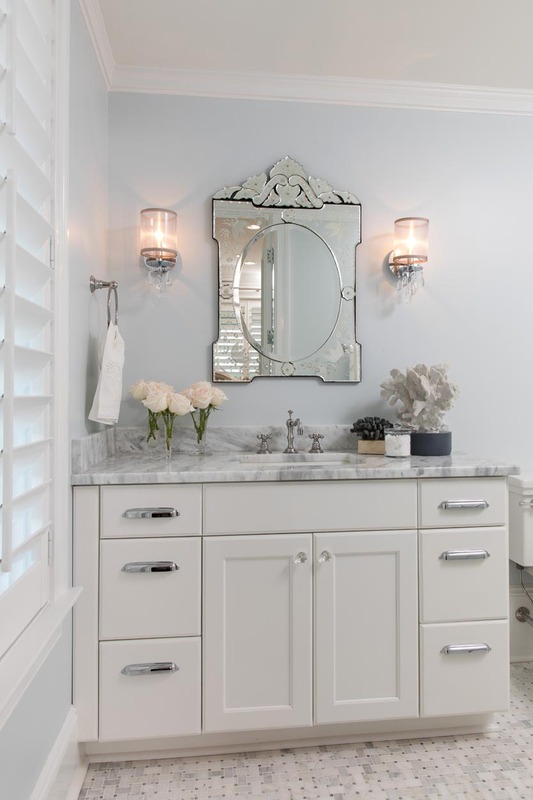 In the suite’s bathroom, a soft blue color palette was used to tie the spaces together, and a venetian mirror and marble tile and counters completed the space.